As we know through the rumor reports that Apple is about to release the updated versions of its MacBook Air line along with the launch of Mac OS X Lion this week, and already scheduled overnight for this week to decorate the retail stores. 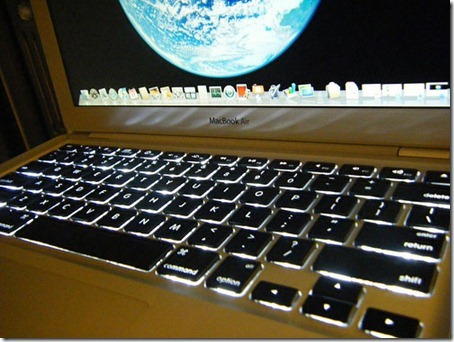 The new models of MacBook Air 2011 is rumored to carry the new and faster technology like, Sandy Bridge Processors and Thunderbolt, along with the fast Flash memory. According to the today’s report, its claimed that MacBook Air refreshed series will also carry the backlit keyboard, old feature of MacBook Pro’s and currently in complete series of it. 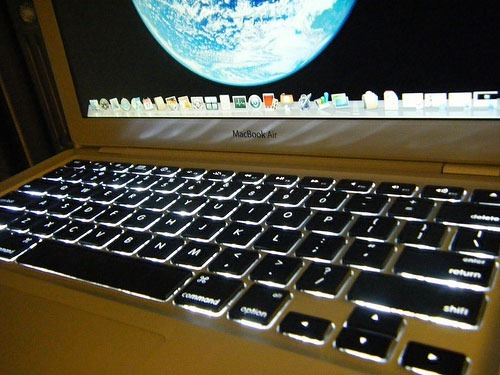 According to people familiar with the matter, backlit keyboards will join the string of hardware enhancements planned for the new 11.6- and 13.3-inch notebooks, which are also expected to adopt high-speed Thunderbolt ports, an upgrade to Intel’s Sandy Bridge architecture, and possibly high-speed 400MBps flash memory.